The Elias String Quartet seems to live inside the pieces it plays. The ensemble conveys both emotional and structural sophistication with astounding clarity. 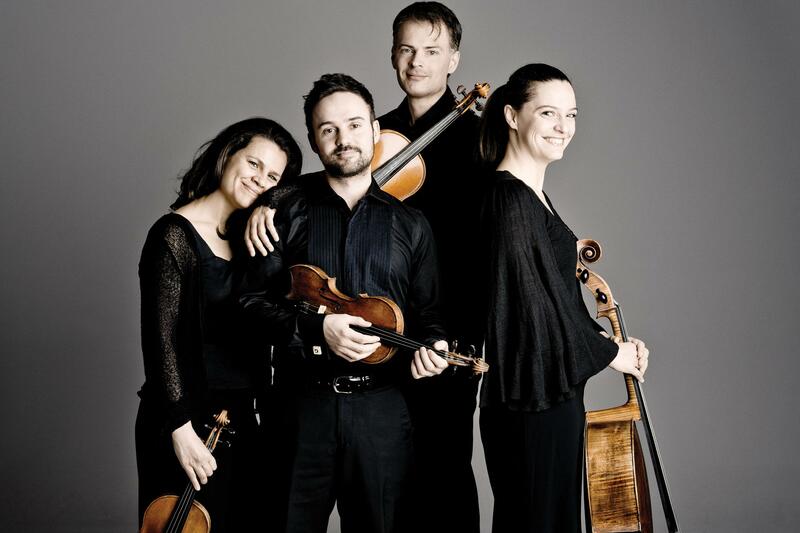 Formed at Manchester's Royal Northern College of Music a quarter century ago, the Elias is both a definitive interpreter of standard repertoire, having recorded Beethoven's entire output for quartet, and a passionate champion of the world's best living composers. Heralded by The New York Times for "bold, rich tone and deeply felt interpretation," the ensemble ranks among the most venerated quartets of its generation. For its second Duke appearance, the Elias pairs two classics with a new work written just for them. The concert begins with Mozart's sumptuous Quartet No. 15 in D Minor. A work of immersive contrasts, reportedly written during the birth of his first child, it is the second of Mozart's quartets dedicated to Haydn. The concert concludes with Schumann's emotionally charged Quartet in A Minor. The last of a triptych of quartets he wrote in 1842, it is elegantly doleful - almost a lament. Between the Mozart and the Schumann, the Elias play a new work commissioned from the engaging British composer Sally Beamish as a companion piece for the Schumann.